Android Studio 3.0 is ready to download today. 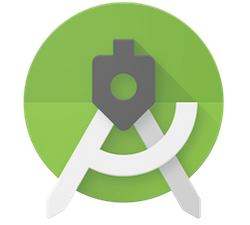 Announced at Google I/O 2017, Android Studio 3.0 is a large update focused on accelerating your app development on Android. We also invested time in improving stability and performance across many areas of Android Studio. 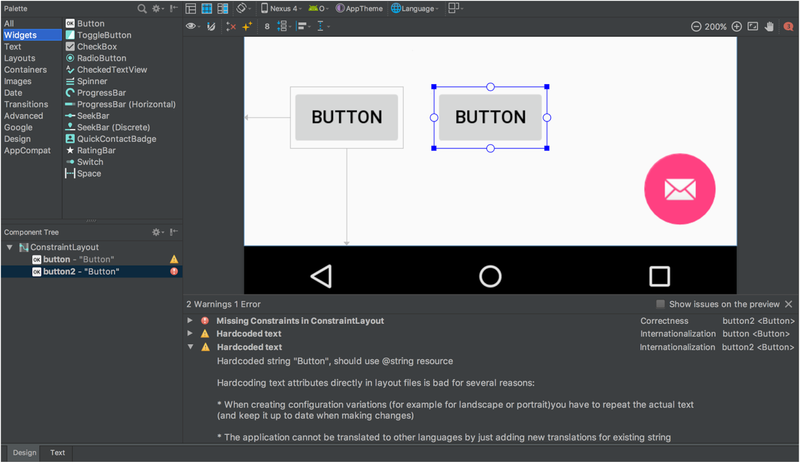 Thanks to your feedback during the preview versions of Android Studio 3.0! If you are looking for high stability, want to build high quality apps for Android Oreo, develop with the Kotlin language, or use the latest in Android app performance tools, then you should download Android Studio 3.0 today. Check out the the list of new features in Android Studio 3.0 below, organized by key developer flows. Kotlin Programming Language - As announced at Google I/O 2017, the Kotlin programming language is now officially supported for Android development. Kotlin is an expressive and concise language that is interoperable with existing Android languages and runtimes, which means you can use as little or as much of the language in your app as you want. Kotlin is a production-ready language used by many popular Android apps on Google Play today. This release of Android Studio is the first milestone of bundles the Kotlin language support inside the IDE. Many of your favorite features such as code completion and syntax highlighting work well this release and we will continue to improve the remaining editor features in upcoming release. You can choose to add Kotlin to your project using the built-in conversion tool found under Code → Convert Java File to Kotlin File, or create a Kotlin enabled project with the New Project Wizard. Lean more about Kotlin language support in Android Studio. Java 8 Language features - In Android Studio 3.0, we are continuing to improve the support for Java 8 language features. With the migration to a javac based toolchain, using Java 8 language features in your project is even easier. To update your project to support the new Java 8 Language toolchain, simply update your Source and Target compatibility levels to 1.8 in the Project Structure dialog. Learn more. 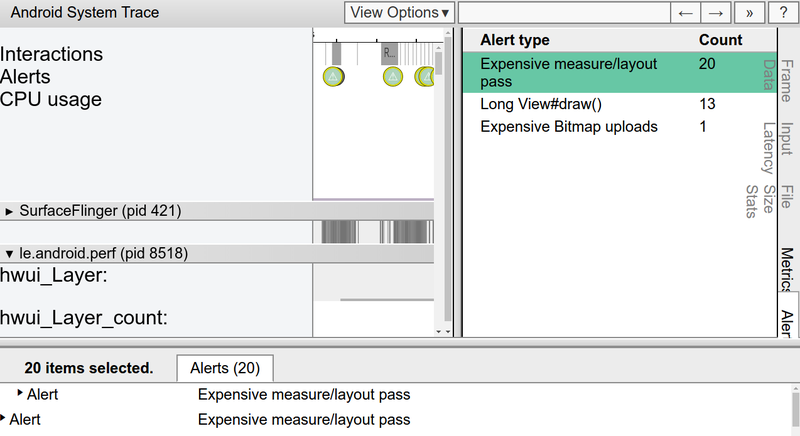 Layout Editor - The component tree in the Layout Editor has better drag-and-drop view insertions, and a new error panel. Learn more. Adaptive Icon Wizard - The new wizard creates a set of launcher icon assets and provides previews of how your adaptive icon will look with different launcher screen icon masks. Support for VectorDrawable layers is new for this release. Learn more. XML Fonts & Downloadable Fonts - If you target Android Oreo (API Level 26 and higher) for your Android app, you can now add custom fonts & downloadable fonts using XML with Android Studio 3.0. 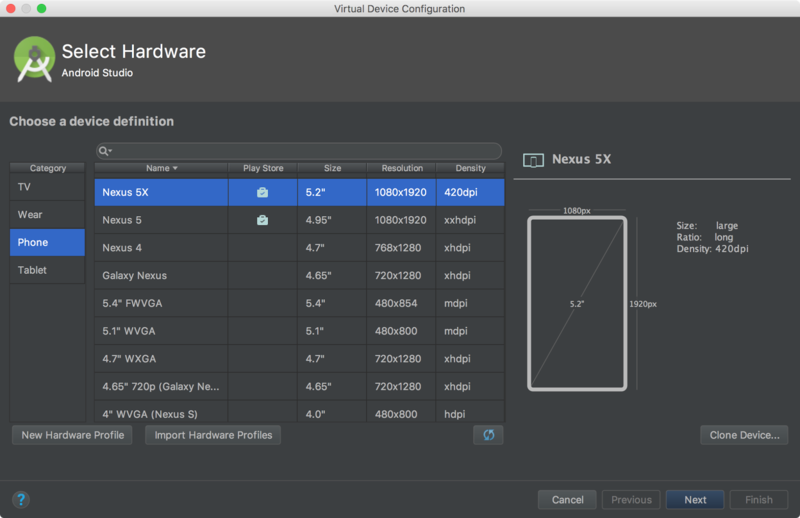 Android Things Support - Android Studio 3.0 includes a new set of templates in the New Project wizard and the New Module wizard to develop for the Android Things platform. Learn more. 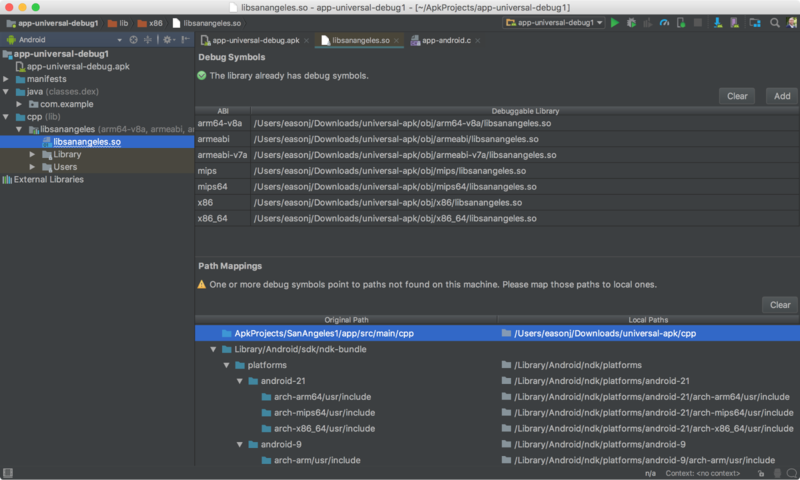 IntelliJ Platform Update: Android Studio 3.0 includes the IntelliJ 2017.1 release, which has features such as Java 8 language refactoring, parameter hints, semantic highlighting, draggable breakpoints, enhanced version control search, and more. Learn more. Instant App Support - With this release of Android Studio, you can add Instant Apps features to your project. Available for full development earlier this year, Instant Apps are lightweight Android apps that your users can immediately run without installation. Learn more. 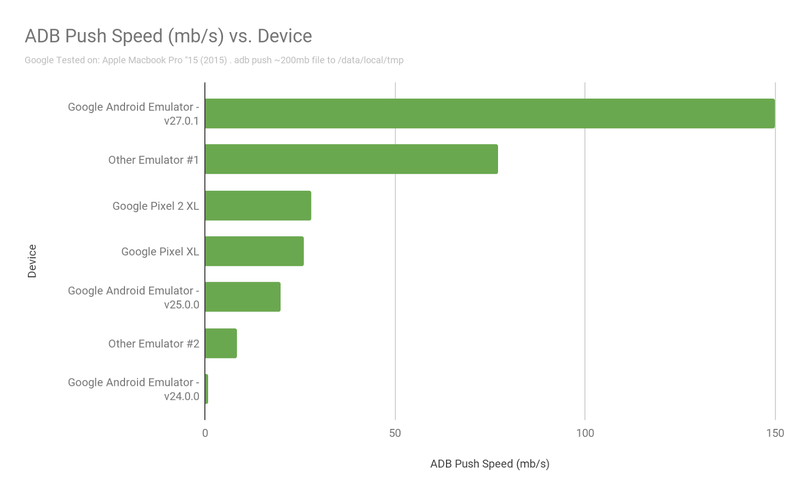 Build Speed Improvements - To further improve the speed of Gradle for larger scale projects with many modules, we introduced a rare breaking API change in the Android Gradle Plugin to improve scalability and build times. This change is one of reasons we jumped version numbers from Android Studio 2.4 to 3.0. If you depend on APIs provided by the previous Gradle plugin you should validate compatibility with the new plugin and migrate to the new APIs. To test, update the plugin version in your build.gradle file. Learn more. 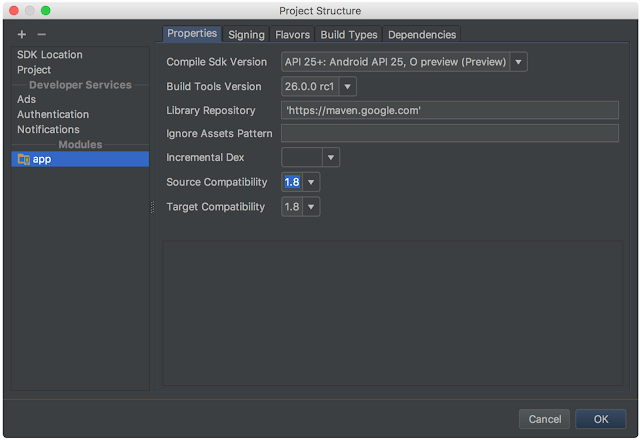 Google's Maven Repository - To facilitate smaller and faster updates, Android Studio 3.0 utilizes Google's Maven Repository by default instead of using the Android SDK Manager to find updates to Android Support Library, Google Play Services, and Firebase Maven dependencies. Used in combination with the latest command line SDK Manager tool and Gradle, Continuous Integration builds should migrate to Google's Maven Repository for future Maven repository updates. Learn more. Google Play System Images - We also updated the emulator system images for Android Oreo to now include the Google Play Store. Bundling in the Google Play store allows you to do end-to-end testing of apps with Google Play, and provides a convenient way to keep Google Play services up-to-date in your Android Virtual Device (AVD). Just as Google Play services updates on physical devices, you can trigger the same updates on your AVDs. To ensure app security and a consistent experience with physical devices, the emulator system images with the Google Play store included are signed with a release key. This means you will not be able to get elevated privileges. If you require elevated privileges (root) to aid with your app troubleshooting, you can use the Android Open Source Project (AOSP) emulator system images that do not include Google apps or services. Learn more. 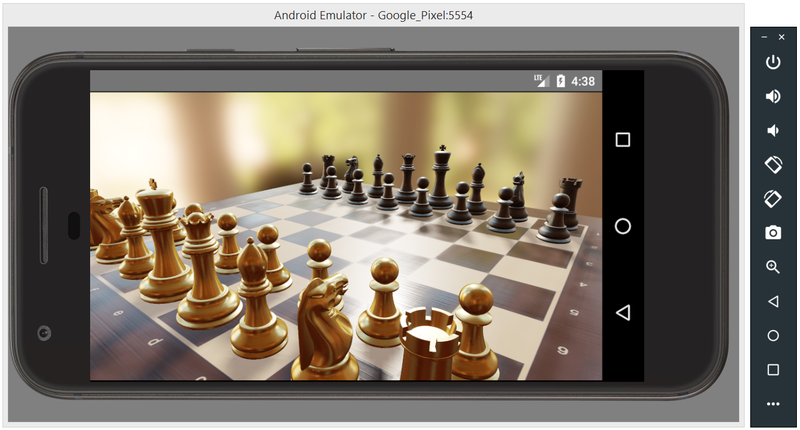 OpenGL ES 3.0 Support in Android Emulator - The latest version of the Android Emulator has OpenGL ES 3.0 support for Android Oreo system images along with significant improvements in OpenGL ES 2.0 graphics performance for older emulator system images. Learn more. 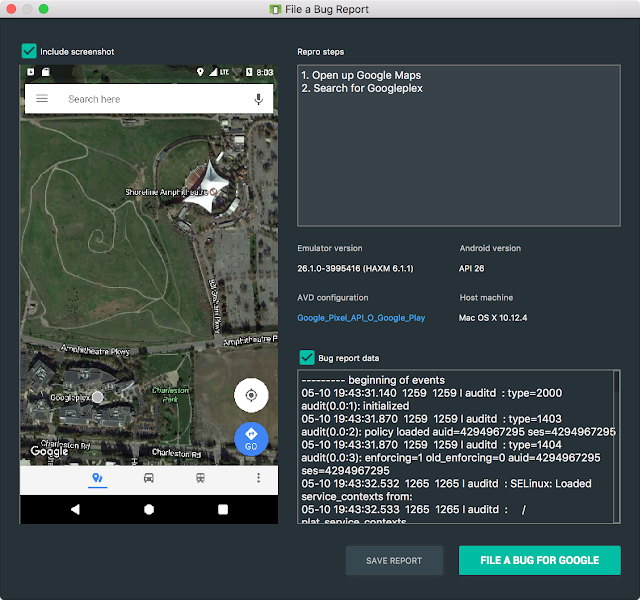 App Bug Reporter in Android Emulator - To help in documenting bugs in your app, we have added an easier way to generate a bug report with the Android Emulator with all the necessary configuration settings and space to capture your repro steps. Learn more. 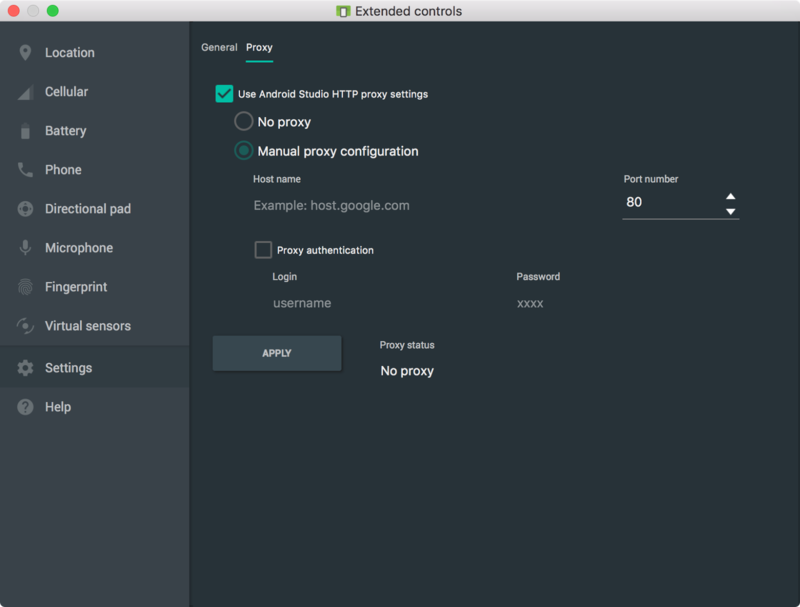 Proxy Support in Android - If you use a proxy to access the Internet, we have added a user interface to manage the HTTP proxy settings used by the emulator. Lean more. Android Emulator Quick Boot (Canary) - One of the most common pain points we hear is that the emulator takes too long to boot. 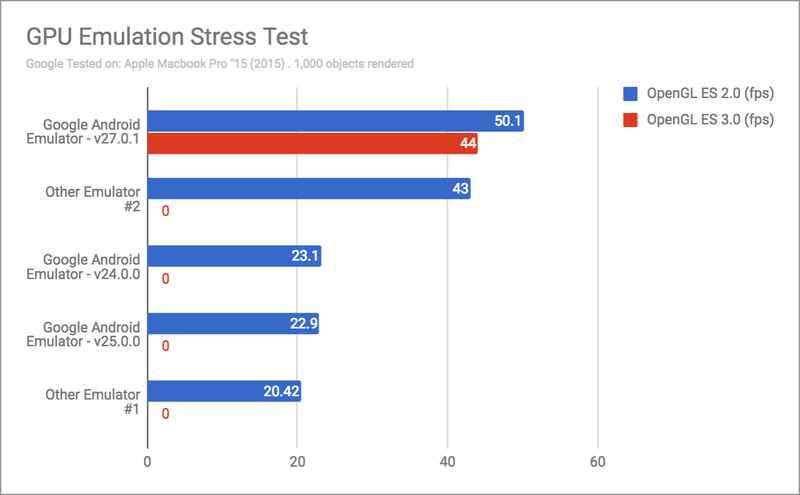 To address this concern, we are excited to preview a new feature to solve this called Quick Boot, which significantly speeds up your emulator start time. Once enabled, the first time you start an AVD a cold boot will occur (just like powering on a device), but all subsequent starts are fast and the system is restored to the state at which you closed the emulator (similar to waking a device). If you want to try it out, ensure you are on the canary update release channel and then you will find v26.2.0 of the Android Emulator in the SDK Manager. Learn more. APK Debugging - Android Studio 3.0 allows you to debug an arbitrary APK. This functionally is especially helpful for those who develop your Android C++ code in another IDE, but want to debug and analyze the APK in the context of Android Studio. As long as you have a debuggable version of your APK, you can use the new APK Debugging features to analyze, profile & debug the APK. Moreover, if you have access to the sources of your APK, you can link the source to the APK debugging flow for a higher fidelity debugging process. Get started by simply selecting Profile or debug APK from the Android Studio Welcome Screen or File → Profile or debug APK. Learn More. Layout Inspector - In this release we have added a few additional enhancements for the Layout Inspector including better grouping of properties into common categories, as well as search functionality in both the View Tree and Properties Panels. Learn more. 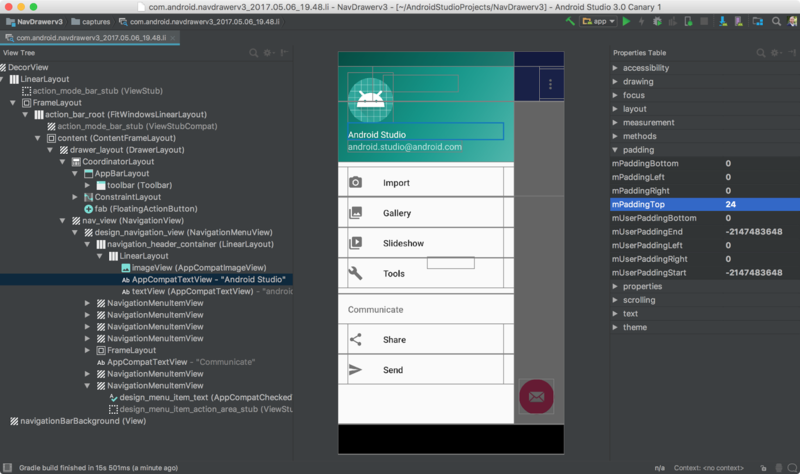 Device File Explorer - The new Device File Explorer in Android Studio 3.0 allows you to view the file and directory structure of your Android device or emulator. As you are testing your app, you can now quickly preview and modify app data files directly in Android Studio. Learn more. 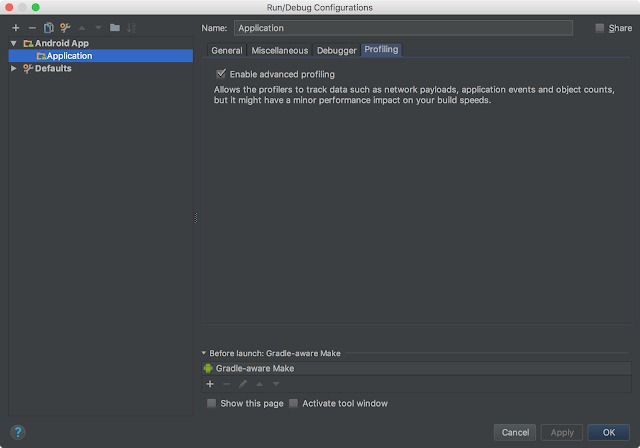 Android Test Orchestrator Support - When used with AndroidJUnitRunner 1.0 or higher, the Android Gradle plugin 3.0 supports the use of the Android Test Orchestrator. The Android Test Orchestrator allows each of your app's tests to run within its own Instrumentation. Learn more. 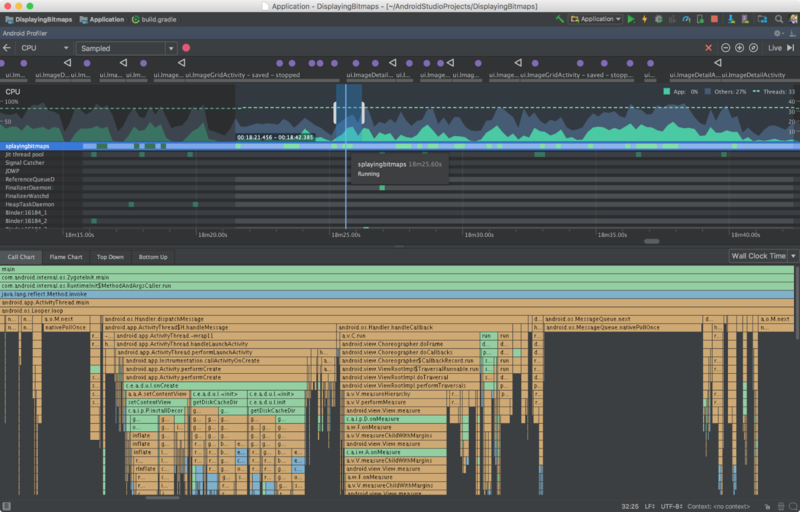 Android Profiler - Android Studio 3.0 includes a brand new suite of tools to help debug performance problems in your app. 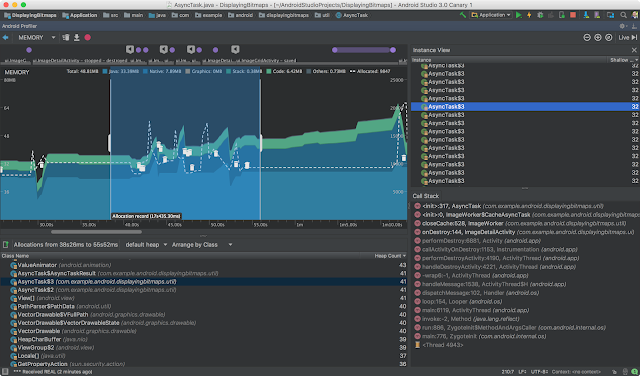 We completely rewrote the previous set of Android Monitor tools, and replaced them with the Android Profiler. Once you deploy your app to a running device or emulator, click on the Android Profiler tab and you will now have access to a real-time & unified view of the CPU, Memory, & Network activity for your app. Each of the performance events are mapped to the UI event timeline which highlights touch events, key presses, and activity changes so that you have more context on when and why a certain event happened. 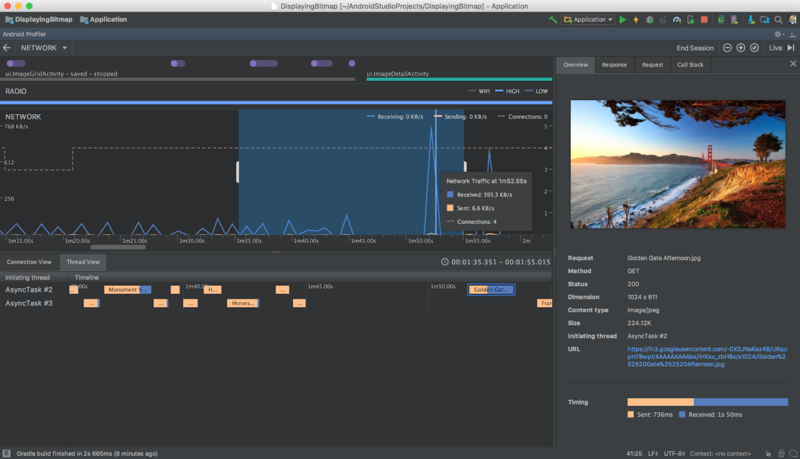 Click on each timeline to dig into each performance aspect of your app. Learn more. 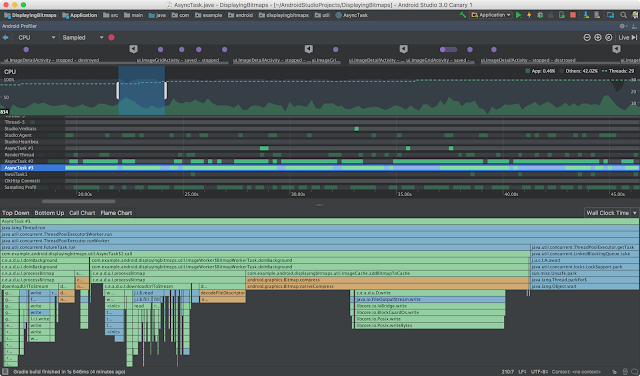 Android Profiler - Combined timeline view. APK Analyzer Improvements - We also updated APK Analyzer with additional enhancements to help you further optimize the size of your APK. Learn more. 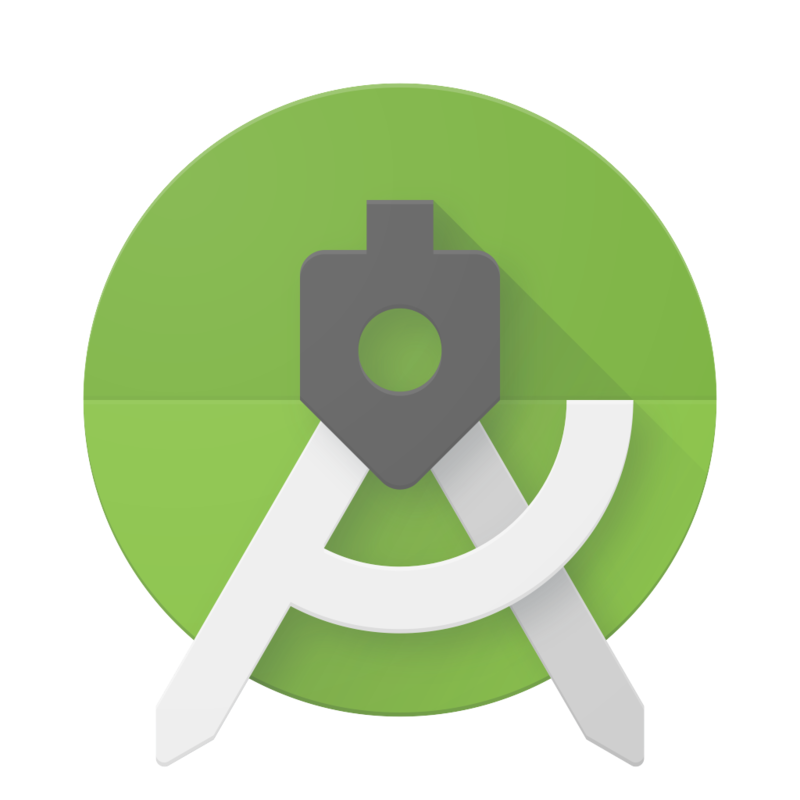 If you are using a previous version of Android Studio, you can upgrade to Android Studio 3.0 today or you can download the update from the official Android Studio Preview download page. As mentioned in this blog, there are some breaking Gradle Plugin API changes to support new features in the IDE. Therefore, you should also update your Android Gradle plugin version to 3.0.0 in your current project to test and validate your app project setup. Since our public launch at Google I/O, we've been working hard to improve the developer experience of building instant apps. Today, we're excited to announce availability of the Android Instant Apps SDK 1.1 with some highly-requested features such as improved NDK support, configuration APKs for binary size reduction, and a new API to maintain user's context when they transition from an instant app to the installed app. For a great instant app experience, app binaries need to be lean and well structured. That's why we're introducing configuration APKs. Configuration APKs allow developers to isolate device-specific resources and native libraries into independent APKs. For an application that uses configuration APKs, the Android Instant Apps framework will only load the resources and native libraries relevant to the user's device, thereby reducing the total size of the instant app on the device. We currently support configuration APKs for display density, CPU architecture (ABI), and language. With these, we have seen an average reduction of 10% in the size of the binaries loaded. Actual savings for a given app depend on the number of resource files and native libraries that can be configured. As an example, a user on an ARM device with LDPI screen density and language set to Chinese would then receive device-agnostic code and resources, and then only get the configuration APKs that have ARM native libraries, the Chinese language, and LDPI resources. They would not receive any of the other configuration APKs such as the x86 libraries, Spanish language strings, or HDPI resources. Setting up configuration APKs for your app is a simple change to your gradle setup. Just follow the steps in our public documentation. On Android Oreo, the internal storage of the instant version of the app is directly available to the installed version of the app. With this release of the SDK, we are enabling this functionality on older versions of the Android Framework, including Lollipop, Marshmallow, and Nougat devices. To extract the internal storage of the instant app, installed apps can now call InstantAppsClient.getInstantAppData() using the Instant Apps Google Play Services API and get a ZIP file of the instant app's internal storage. Check out our code sample and documentation for more details on how to use this API. It's simple to start building your instant app on the latest SDK. 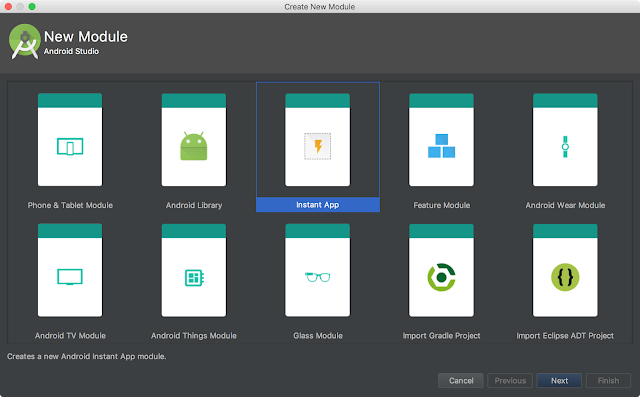 Just open the SDK Manager in Android Studio and update your Instant Apps Development SDK to 1.1.0. We can't wait to see what instant app experiences you build with these new features. Android developers know that dex compilation is a key step in building an APK. This is the process of transforming .class bytecode into .dex bytecode for the Android Runtime (or Dalvik, for older versions of Android). The dex compiler mostly works under the hood in your day-to-day app development, but it directly impacts your app's build time, .dex file size, and runtime performance. That's why we are investing in making important improvements in the dex compiler. We're excited to announce that the next-generation dex compiler, D8, is now available for preview as part of Android Studio 3.0 Beta release. 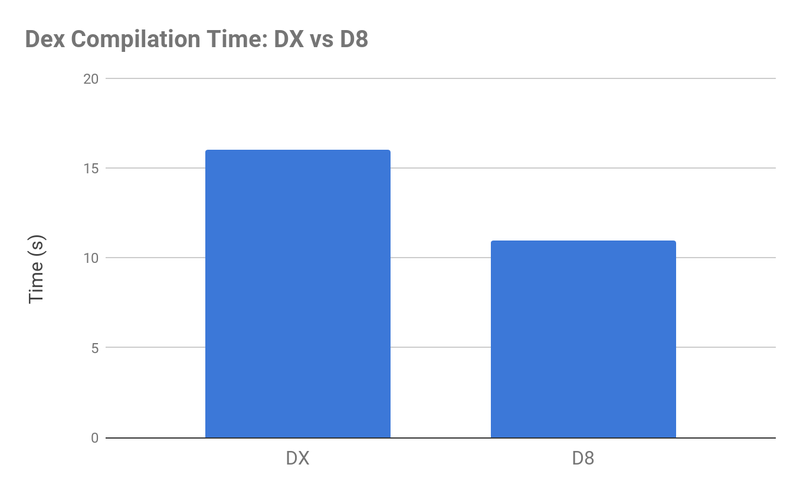 When comparing with the current DX compiler, D8 compiles faster and outputs smaller .dex files, while having the same or better app runtime performance. * Tested with benchmark project here. *Tested with benchmark project here. 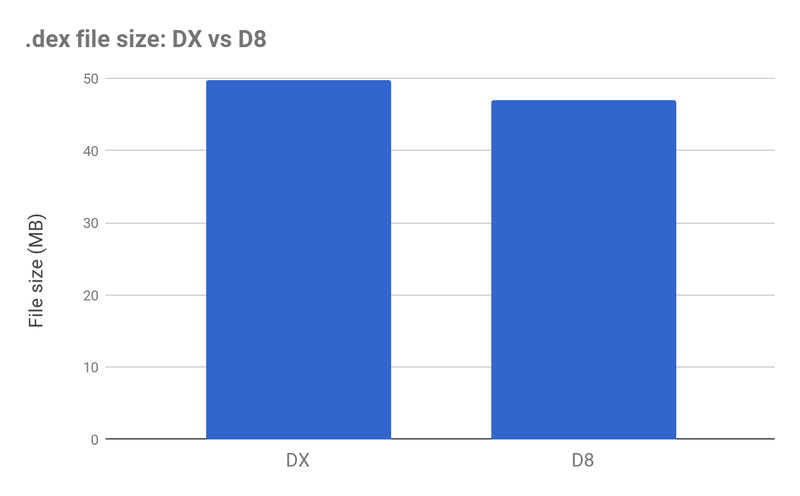 We have tested D8's correctness and performance on a number of apps, and the results are encouraging. We're confident enough with the results that we are switching to use D8 as the default dex compiler for building AOSP. Please give D8 a try and we would love to hear your feedback. You can file a bug report using this link. We plan to preview D8 over the next several months with the Android Studio 3.0 release. During this time, we will focus on addressing any critical bug reports we receive from the community. We plan to bring D8 out of preview and enable it as the default dex compiler in Android Studio 3.1. At that time, the DX compiler will officially be put in maintenance mode. Only critical issues with DX will be fixed moving forward. Beyond D8, we are also working on R8, which is a Proguard replacement for whole program minification and optimization. While the R8 project has already been open sourced, it has not yet been integrated with the Android Gradle plugin. We will provide more details about R8 in the near future when we are ready to preview it with the community. In April, we announced Java 8 language features with desugaring. The desugaring step currently happens immediately after Java compilation (javac) and before any bytecode reading or rewriting tools are run. Over the next couple of months, the desugar step will move to a later stage in the pipeline, as part of D8. This will allow us to further reduce the overall build time and produce more optimized code. This change means that any bytecode reading or rewriting tools will run before the desugar step. If you develop .class bytecode reading or rewriting tools for Android, you will need to make sure they can handle the Java 8 bytecode format so they can continue to work properly when we move desugaring into D8. Just in time for Google I/O 2017, we're providing a sneak peak of Android Studio 3.0 - available to download today on our canary release channel. 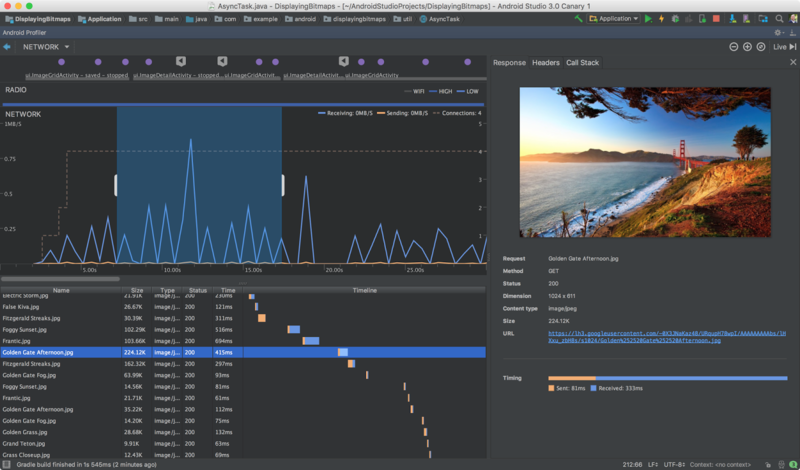 Android Studio's our official IDE, purpose-built for Android, and we keep increasing our investment. The feature set in Android Studio is focused on accelerating your app development flow and providing the latest tools built for the Android platform. 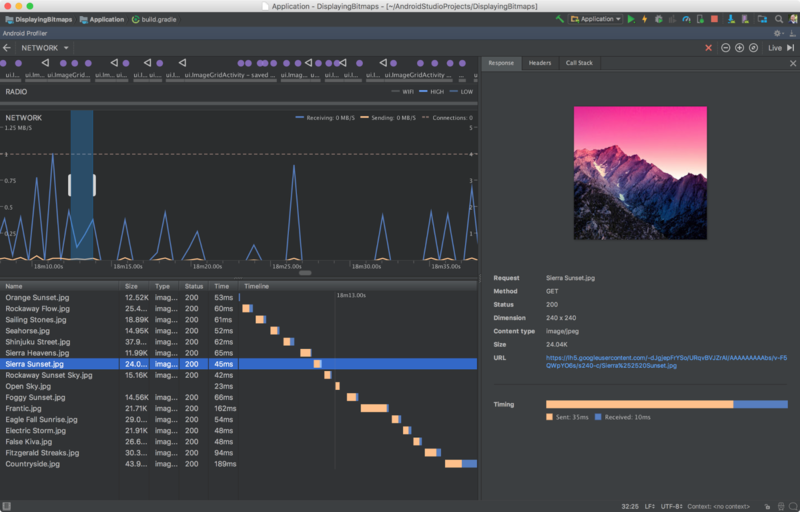 To accelerate your development flow, Android Studio 3.0 includes three major features: a new suite of app performance profiling tools to quickly diagnose performance issues, support for the Kotlin programming language, and increased Gradle build speeds for large sized app projects. Android Studio 3.0 also tightly integrates with Android platform development with these additional key features: support for Instant App development, inclusion of the Google Play Store in the Android O emulator system images, and new wizards for Android O development. Overall, this first canary release of Android Studio 3.0 has 20+ new features. We have been quietly iterating on many of these features as part of the Android Studio 2.4 Canaries. Today we are renumbering the release to Android Studio 3.0 after recognizing that we added many significant features, and that we had to introduce a rare breaking change in the Android Gradle Plugin to improve scalability and build times. 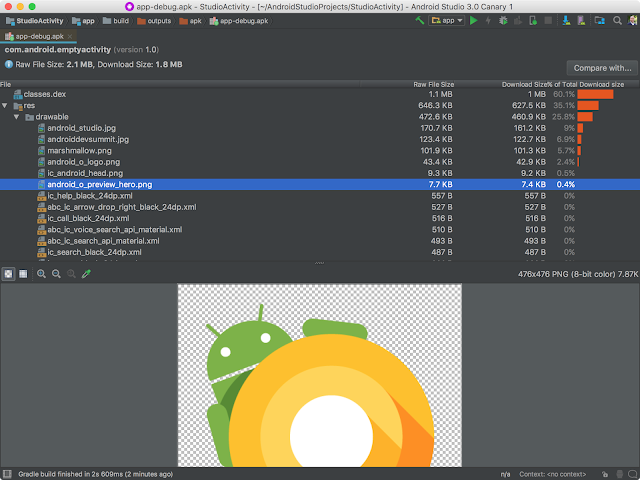 If you want to target Android O, create an Instant App, start developing with the Kotlin language or use the latest in Android app performance tools to improve your app quality then you should download Android Studio 3.0 Canary 1 today. Kotlin Programming Language - By popular request, Android Studio 3.0 now includes support for Kotlin. With this new language support, you can seamlessly add Kotlin code next to your existing Android app code and have access to all the great development tools found in Android Studio. You can choose to add Kotlin to your project using the built-in conversion tool found under Code → Convert Java File to Kotlin File, or you choose to create a Kotlin enabled project with the New Project Wizard. Lean more about Kotlin language support in Android and Android Studio. Java 8 Language features - We are continuing to evolve the support for Java 8 language features and APIs. 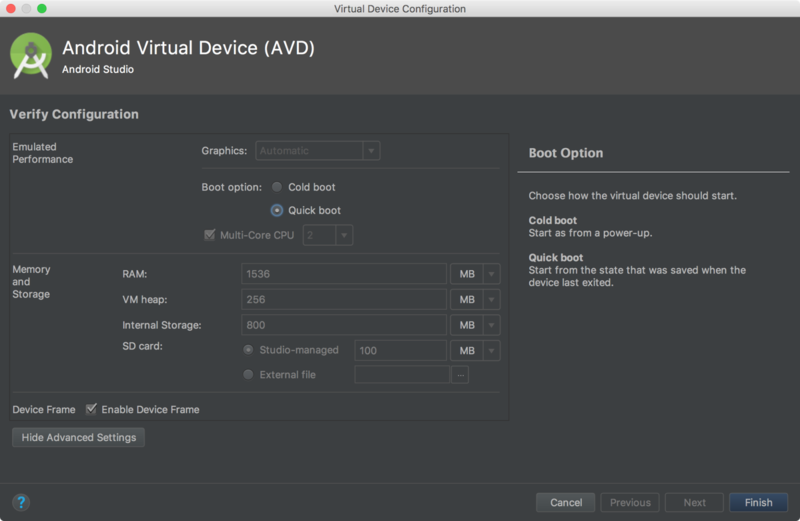 With the recent deprecation of the Jack toolchain and migration to the javac based toolchain, you have access to features such as Instant Run for projects using the Java 8 language features in Android Studio. To update your project to support the new Java 8 Language toolchain, simply update your Source and Target compatibility levels to 1.8 in the Project Structure dialog. Learn more. 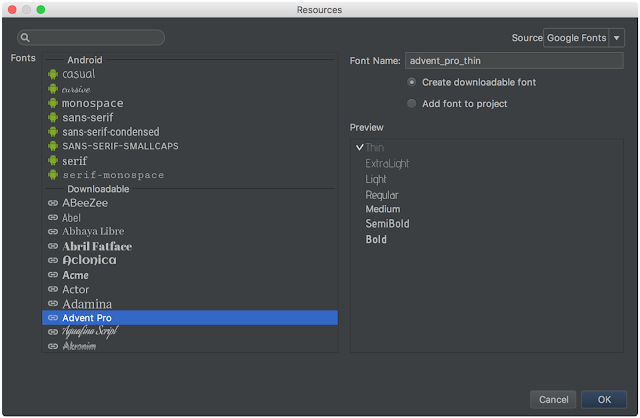 Layout Editor - With this Android Studio release, you will find additional enhancements to the Layout Editor. We have updated the component tree with better drag-and-drop view insertions, and a new error panel. In coordination with an update to ConstraintLayout, the Layout Editor also supports creating view Barriers, creating Groups, and enhances Chain Creation. Learn more. Adaptive Icon Wizard - Android O introduces adaptive launcher icons, which can display in different shapes across different Android devices. The new Adaptive Launcher Icon wizard creates the new and legacy launcher icon assets and provides previews of how your adaptive icon will look on different launcher screen icon masks. Create a new asset by right-clicking on the /res folder in your project then navigate to → New → Image Asset → Launcher Icons (Adaptive and Legacy) Learn more. XML Fonts & Downloadable Fonts - Adding custom fonts to your app (available when targeting Android O) is now even easier with the XML fonts preview and font selection tools in Android Studio. You can can also create a downloadable font resource for your app. Using downloadable fonts allows you to use a custom font in your app while avoiding the need to bundle in a font resource into your APK. 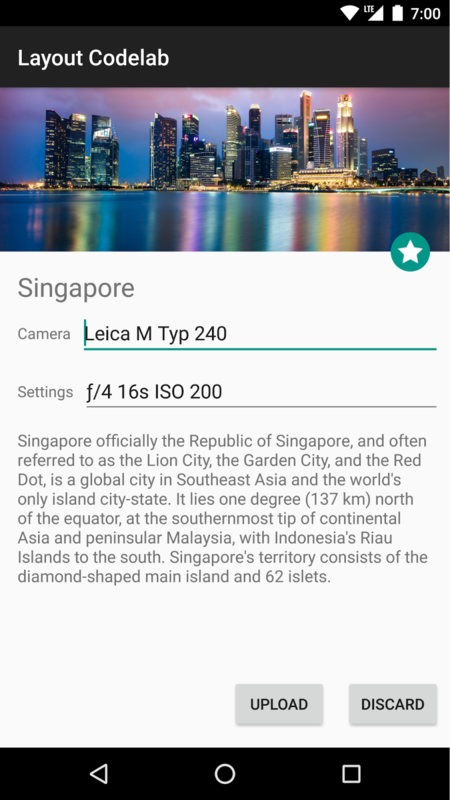 To use downloadable fonts, ensure that you device or emulator is running Google Play Services v11.2.63 or higher. Learn more. Android Things Support - With Android Studio 3.0, you can start developing on Android Things with a new set of templates in the New Project wizard and the New Module wizard. Android Things allows you to extend your Android development knowledge into the Internet of Things (IoT) device category. Learn more. IntelliJ Platform Update: Android Studio 3.0 Canary 1 includes the IntelliJ 2017.1 release, which has features such as Java 8 language refactoring, parameter hints, semantic highlighting, draggable breakpoints, enhanced version control search, and more. Learn more. 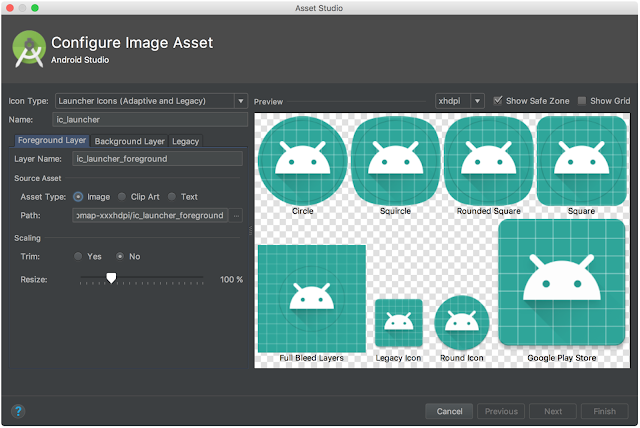 Instant App Support - With Android Studio 3.0, you can create Instant Apps in your project. Instant Apps are lightweight Android apps that your users can immediately run without installation. To support this, Android Studio introduces two new module types: instant app and feature. 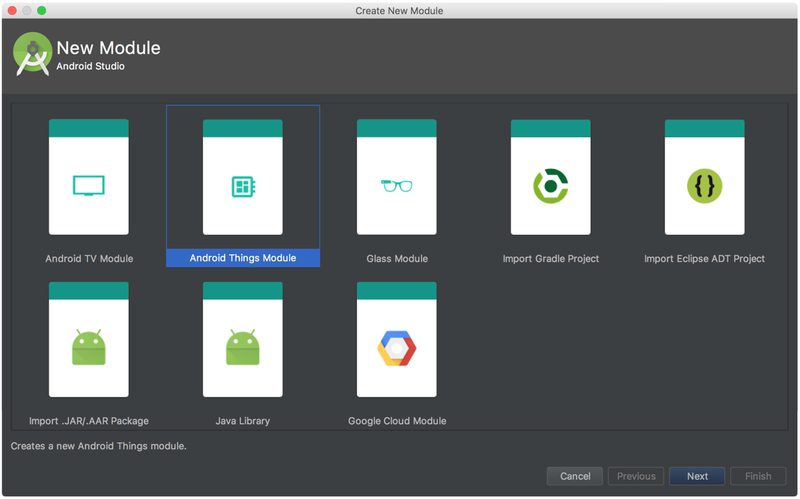 Combined with a new "Modularize" refactoring action and the App Links Assistant, Android Studio can help you extend your app into an Instant App. To use you can use the New Module Wizard or right-click on a class and navigate to: Refactor → Modularize Learn more. Build Speed Improvements - We are continuing to invest in making build speeds faster. For this release, we focused on improving speed for projects that have many modules. To achieve these speed improvements and to support future enhancements, we have made breaking API changes to the Android Gradle plugin used by Android Studio. If you depended on APIs provided by the previous plugin you should validate compatibility with the new plugin and migrate applicable APIs. To test, update the plugin version in your build.gradle file. Learn more. 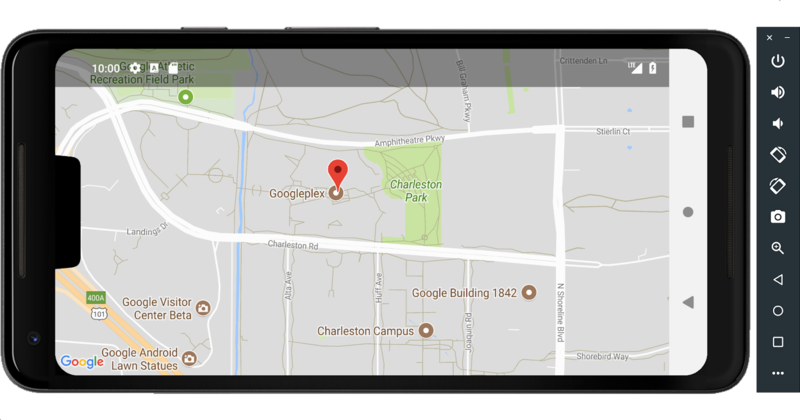 Google's Maven Repository - Also, by popular request, we are now distributing the Android Support Library maven dependencies outside of the Android SDK Manager in a brand new Maven repository. For those developing with a Continuous Integration (CI) system, this should make Maven dependency management easier. Used in combination with the latest command line SDK Manager tool and Gradle, CI builds should be easier to manage with Google's Maven Repository. To use the the new Maven location, add the following url to your app module's build.gradle file. Learn more. Google Play System Images - Along with the update to the Android O Beta release, we updated the Android Emulator O system images to include the Google Play Store. Bundling in the Google Play store allows you to do end-to-end testing of apps with Google Play, and provides a convenient way to keep Google Play services up-to-date in your Android Virtual Device (AVD). 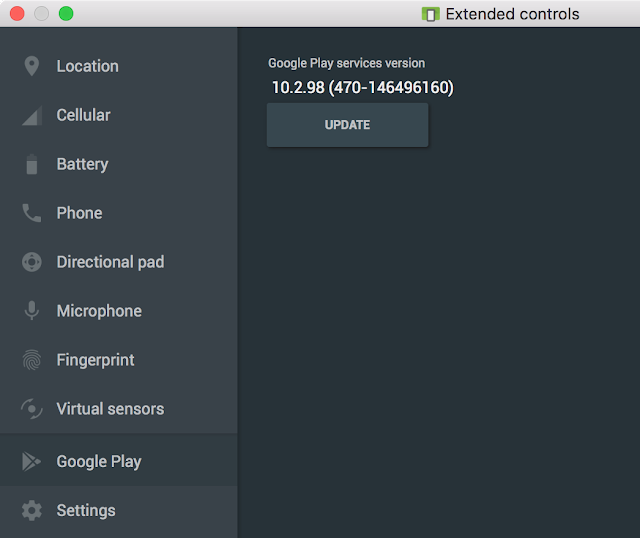 Just as Google Play services updates on physical devices, you can trigger the same updates on your AVDs. To ensure app security and a consistent experience with physical devices, the emulator system images with the Google Play store included are signed with a release key. This means you will not be able to get elevated privileges. If you require elevated privileges (root) to aid with your app troubleshooting, you can use the Android Open Source Project (AOSP) emulator system images that do not include Google apps or services. 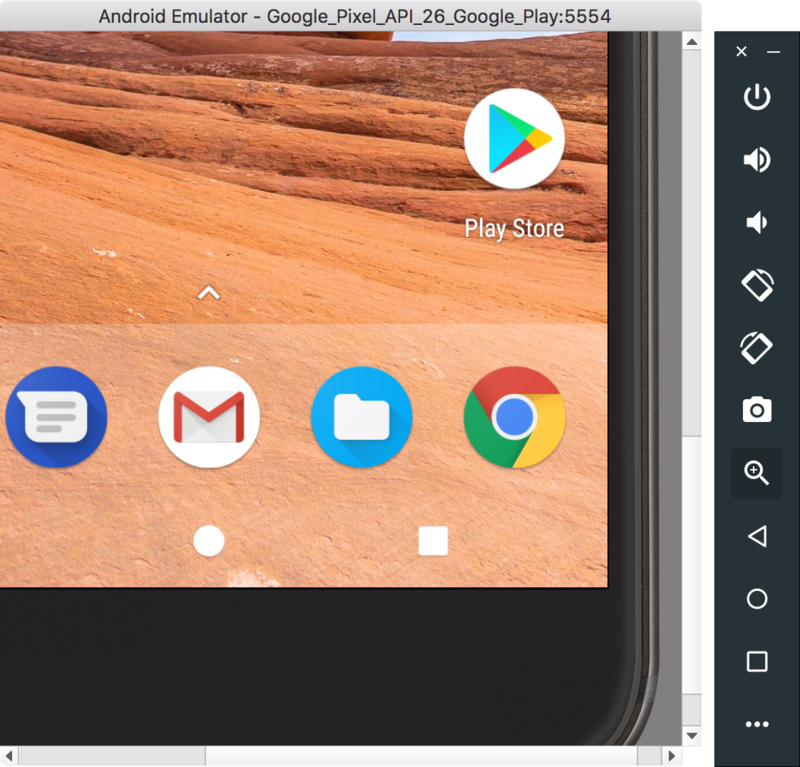 To get started, make sure you are using Android Emulator v26.1+, the latest system images API 24+ and then create a new AVD with a Google Play icon next to the device definition. Learn more. OpenGL ES 3.0 Support in Android Emulator - As a part of our ongoing investment in making your development experience fast, the latest version of the Android Emulator has OpenGL ES 3.0 support for Android O system images along with significant improvements in OpenGL ES 2.0 graphics performance for older emulator system images. Most modern graphics cards on all operating systems support OpenGL ES 2.0 acceleration. 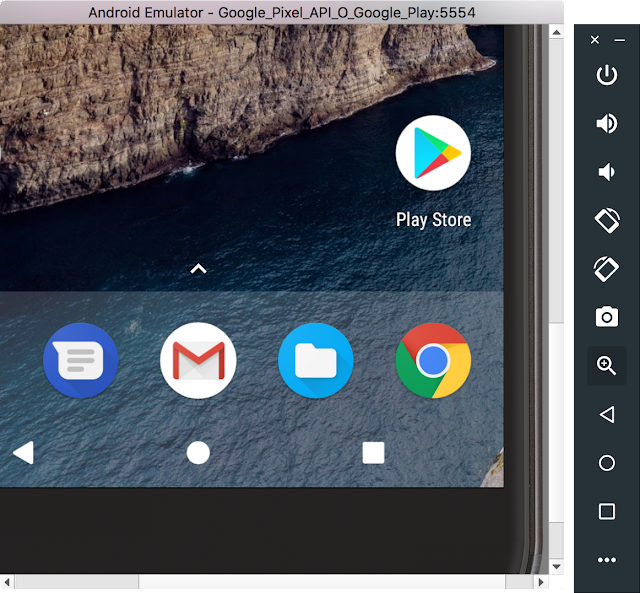 To use OpenGL ES 3.0 with the Android Emulator, your development machine needs a host GPU graphics card that supports OpenGL 3.2 or higher on Microsoft® Windows® or Linux (with Apple MacOS® support coming in the future). Learn more. 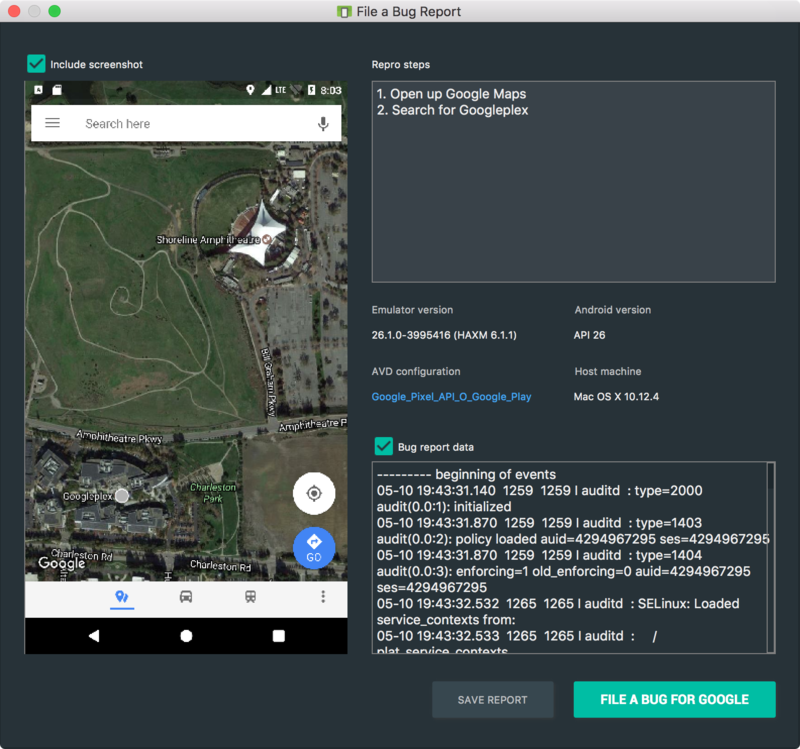 App Bug Reporter in Android Emulator - To help in documenting bugs in your app, we have added an easier way to generate a bug report with all the necessary configuration settings and space to capture your repro steps. Additionally, if you want to share a specific emulator bug with the Android team, we have also added a link to quickly generate a bug on the Android Issue Tracker. To use this feature, navigate to the Emulator Tool Bar → Extended Controls → Help → Emulator Help → File a Bug. Learn more. 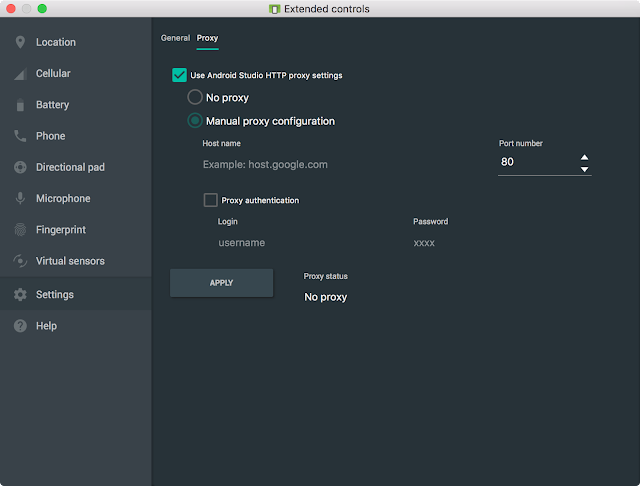 Proxy Support in Android - For those who need to use a HTTP proxy to access the Internet, we have added a user interface to manage the proxy settings used by the emulator. By default, the Android Emulator will now use the settings from Android Studio, but you can override these settings for your network setup. 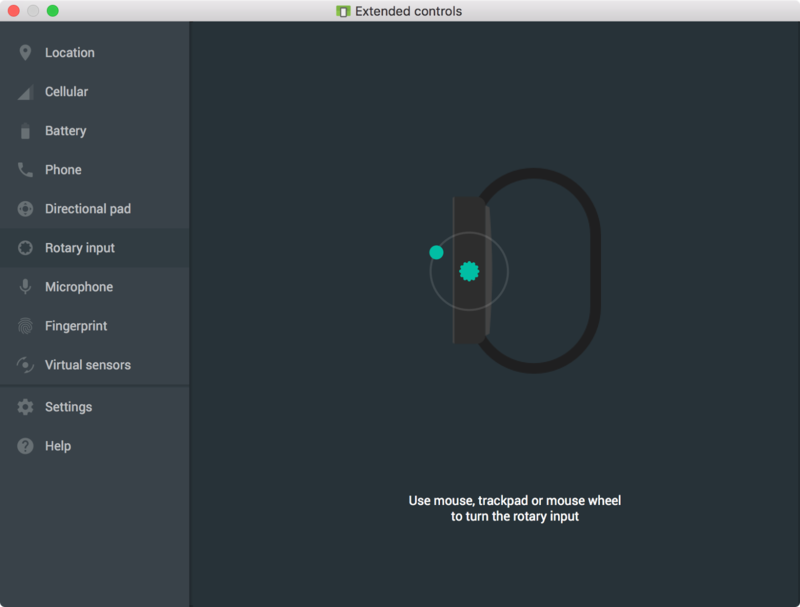 To configure navigation to the Extended Controls → Settings → Proxy. 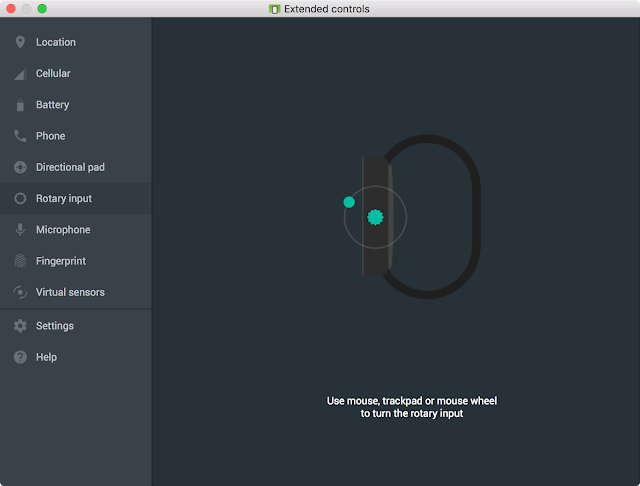 Android Wear Rotary Controls in Android Emulator - The Android Emulator now supports rotary controls for the Android Wear 2.0 emulator system image. It is now easier to test your apps that target Android Wear devices that include rotary input scrolling. To enable, create an Emulator AVD that targets Android Wear, and the Rotary Input panel should appear under Extended controls. Learn more. 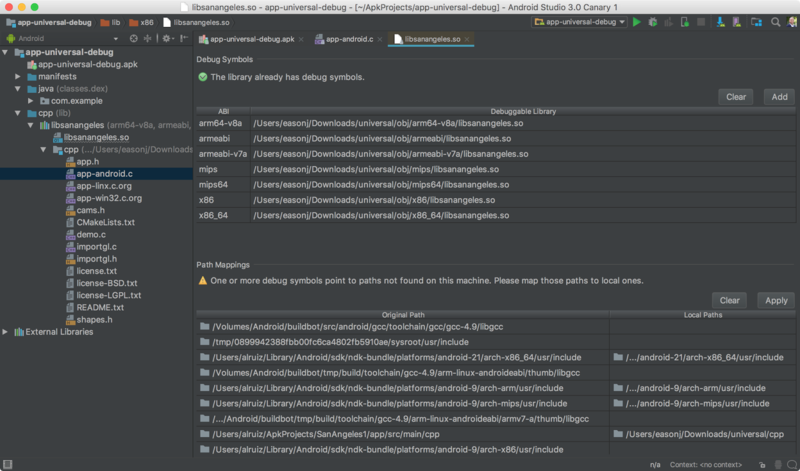 APK Debugging - For those of you who just want to debug an APK without building your project in Android Studio, the Android Studio 3.0 release now has the ability to debug an arbitrary APK. 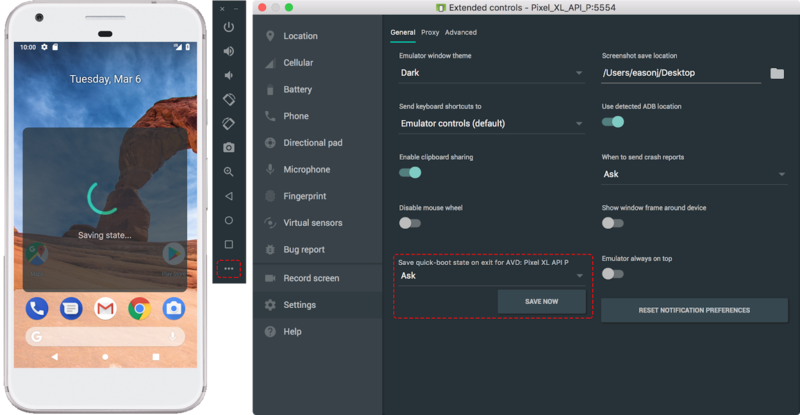 This functionally is especially helpful for those who develop your Android C++ code in another development environment, but want to debug and analyze the APK in the context of Android Studio. As long as you have a debuggable version of your APK, you can use the new APK Debugging features to analyze, profile & debug the APK. Moreover, if you have access to the sources of your APK, you can link the source to the APK debugging flow for a higher fidelity debugging process. Get started by simply selecting Profile or debug APK from the Android Studio Welcome Screen or File → Profile or debug APK. Learn More. 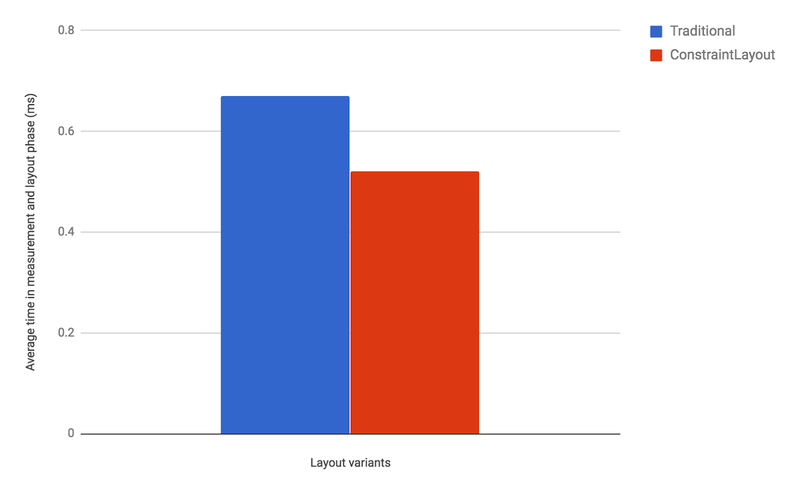 Layout Inspector - You will find that the Layout Inspector has a few additional enhancements in Android Studio 3.0 that make it easier to debug issues in your app layouts. A couple of the enhancements include better grouping of properties into common categories, as well as search functionality in both the View Tree and Properties Panels. While an application is running, access the Layout Inspector via Tools → Android → Layout Inspector. Learn more. Device File Explorer - Ported from DDMS into Android Studio by popular demand, the new Device File Explorer allows you to view the file and directory structure of your Android device or emulator. 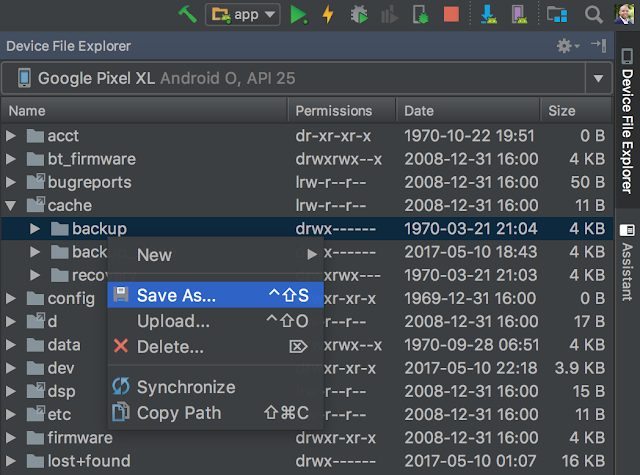 As you are testing your app, you can now quickly preview and modify app data files directly in Android Studio. Learn more. CPU Profiler - Unnecessary CPU processing and load spikes are symptoms of poor app performance. With the CPU Profiler, you can analyze the CPU thread usage of your app by triggering a sample or instrumented CPU trace. At this point, you can troubleshoot CPU performance issues using a variety of data views and filters built into the CPU Profiler. Learn more. Memory Profiler - Using memory inefficiently can lead to many device problems ranging from a janky UI to low memory events. 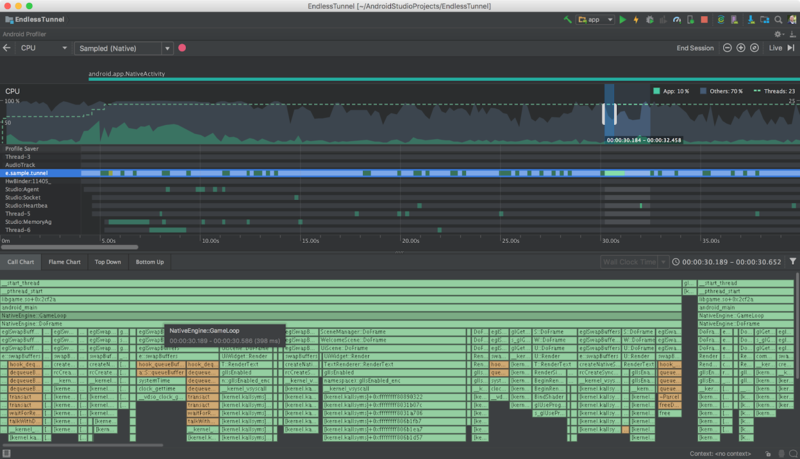 The Memory Profiler combines the functionality of the previous Heap Viewer and Allocation Tracker in one rich interface to help debug memory usage problems in your app. You can diagnose a range of memory issues by analyzing memory allocations, heap dumps and more. Learn more. Network Profiler - Optimizing foreground and background network usage in your app can lead to a more performant app and lower app data usage. The network profiler allows you to monitor the network activity of your app, inspect the payload of each of your network requests, and link back to the line of source code that generated the network request. Currently, the network profiler works with HttpURLConnection, OkHttp, and Volley network libraries. 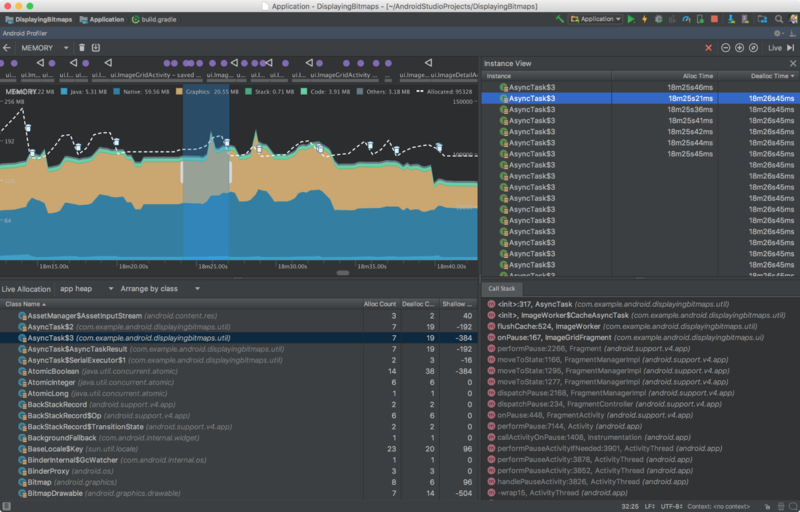 The network profiler is an advanced analysis feature that can be enabled on Pre-Android O devices & emulators by selecting Enable Advanced Profiling in the Profiling Tab in the Run Configuration box. In addition to enabling network request and payload analysis, this checkbox enables event collection at the top level, memory object count, and memory garbage collection. For Android O-based devices and emulator, just deploy your app. Learn more. APK Analyzer Improvements - In Android Studio 3.0, we have added some additional enhancements to the APK Analyzer to help you further optimize the size of your APK. With this feature update, you can now analyze Instant App zip files & AARs, and view dex bytecode of classes & methods. You can also generate Proguard configuration rules and load Proguard mapping files in the dex viewer. Learn more. 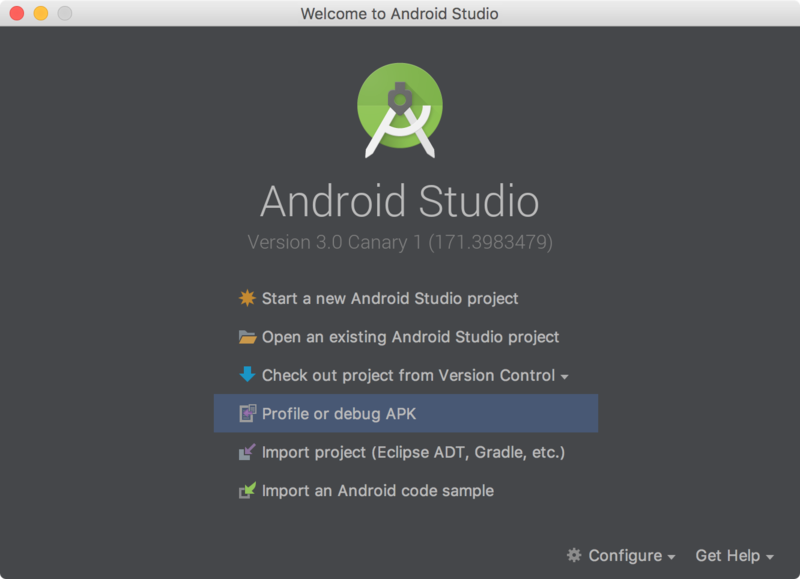 If you are using a previous version of Android Studio, you can install Android Studio 3.0 Canary 1 alongside your stable version. You can download this update from the official Android Studio Preview download page. As mention in this blog, there are some breaking Gradle Plugin API changes to support new features in the IDE. Therefore, you should also update your Android Gradle plugin version to 3.0.0-alpha1 in your current project to test and validate your app project setup.